Clark is a Registered Patent Agent (2005) with the Canadian Intellectual Property Office. He practises in the Intellectual Property Department in the Ottawa office and is a member of the Technology Business Group. His practice focuses on drafting and prosecuting patent applications specializing in biotechnology, biochemical and chemical sciences. He works closely with Osler’s corporate department to provide assistance with complex intellectual property due diligence matters. 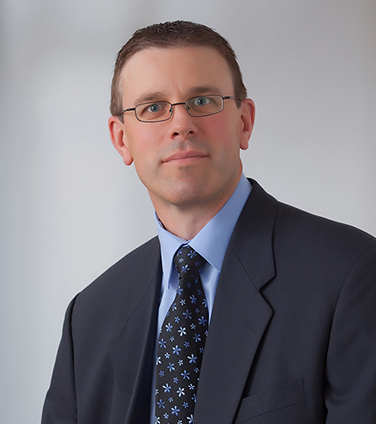 He specializes in Canadian and foreign patent, industrial design and plant breeders’ rights prosecution, patentability and freedom to operate opinions and advising clients with respect to the strategic development and management of their intellectual property portfolios. Clark has extensive interdisciplinary research experience encompassing biochemistry, enzyme kinetics, pharmacology, and molecular biology. Holden CP, Haughey NJ, Dolhun B, Shepel PN, Nath A, Geiger JD. (2000) Diadenosine pentaphosphate increases levels of intracellular calcium in astrocytes by a mechanism involving release from caffeine/ryanodine- and IP3-sensitive stores. J. Neurosci. Res. 59:276-282. Holden CP, Haughey NJ, Nath A, Geiger JD. (1999) Role of Na+/H+ exchangers, excitatory amino acid receptors and voltage-operated Ca2+ channels in human immunodeficiency virus type 1 gp 120-mediated increases in intracellular Ca2+ in human neurons and astrocytes. Neurosci. 91:1369-1378. Holden CP and Storey KB. (1998) Protein Kinase A from bat skeletal muscle: a kinetic study of the enzyme from a hibernating mammal. Arch. Biochem. Biophys. 358(2): 243-250. Holden CP and Storey KB. (1997) Second messenger and cAMP dependent protien kinase responses to dehydration and anoxia stresses in frogs. J. Comp. Physiol B. 167: 305-312. Holden CP, Padua RA and Geiger JD. (1996) Regulation of ryanodine receptor calcium release channels by diadenosine polyphosphates J. Neurochem. 67: 574-580. Holden CP and Storey KB. (1996) Signal transduction, second messenger, and protein kinase responses during freezing exposure in wood frogs. Am J. Physiol. 271: (Regul. Integ. Comp. Physiol. 40) R1205-R1211. “Current Topics in Biotechnology an Intellectual Property Perspective” – Carleton University - Guest lecturer 2007 to present. “Dysregulation of Cellular Homeostasis in the Brain by HIV-1 proteins gp-120 and Tat: Mechanisms and pathways that contribute to neuronal cell death in HIV-1 dementia. Department of Neurology, Johns Hopkins University, School of Medicine. December 14th, 1998.